I’m going to go out on a limb here and predict that Avatar will soon be the biggest-grossing movie of all time — and even if it doesn’t, it probably deserves to be. Living up to most, if not all, of the hype surrounding it, the film is visually stunning, and the story is compelling, if a bit formulaic. Director James Cameron has spent literally decades developing this project, and it is obvious that this is the work of someone with great attention to detail. The technology behind the production is simply staggering, and is likely to change how movies are made for decades to come — not just the 3-D gimmickry, but the innovative motion capture techniques he has created. The CG graphics are impressive, but like any good movie, they support and enhance the story, they don’t detract from it. Many have criticized the movie for being too political, as it draws obvious parallels between the war portrayed in the movie and the current war in Iraq. The anti-imperialist message is undeniable, of course, but the movie succeeds at delivering that message without coming across as preachy, which is not an easy task for any storyteller. Most notable for me is that the story is also surprisingly spiritual, invoking our own indigenous Native Americans in describing the people and cultures of the fictitious world of Pandora. That spirituality ultimately plays an active role in the story’s outcome, and is not just an afterthought. 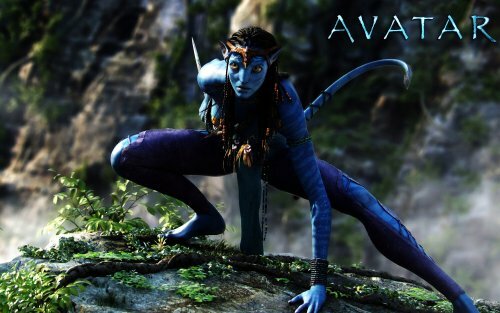 Overall, Avatar is exquisitely made eye candy that is also emotionally satisfying. I would recommend it. I agree with your review but I do not see the connection to the war in Iraq. But I never believed that is about the oil. I saw it more as a look at how the Indians lost their land. One is a sci-fi epic and the other is a comedy. Not really fair to compare the two is it?